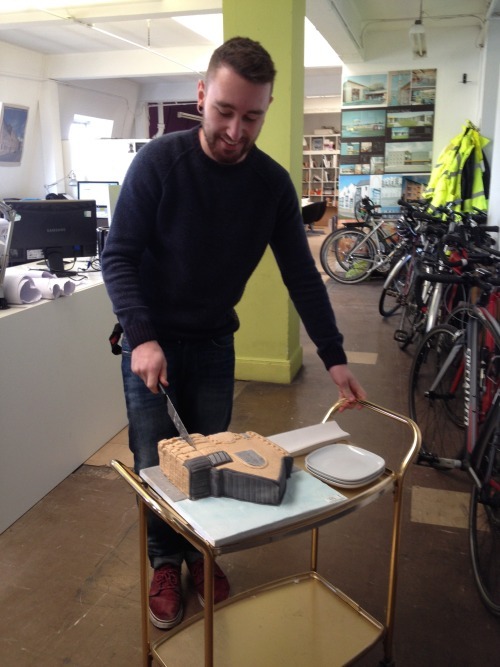 We’re very sad that our fabulous part 1 assistant Stephen Dally is leaving us this week to return to Strathclyde University where he will be undertaking his Diploma in Architecture. Stephen has been a fantastic year out student, impressing us with his amazing image making skills and design work. 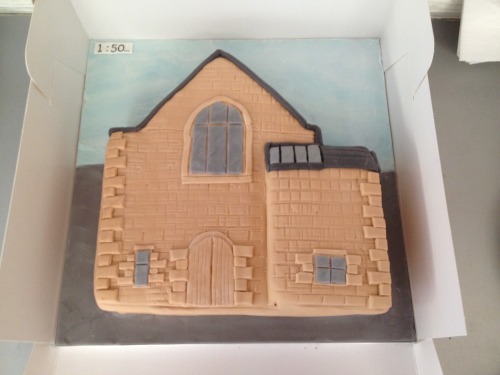 He’s also a very talented model maker and as a leaving gift to the practice made a scale cake model of the Aspire Church Community Centre, a project that Stephen has been involved in while working at Collective.